Rugged, durable, and waterproof. Sorel Men's Conquest Boots feature seam-sealing, built-in gaiters, molded EVA comfort footbeds, multi-direction rubber lug soles and 400 grams of Thinsulate™ Ultra insulation to ensure that feet stay secure, warm, dry and protected during demanding activities in extremely cold winter weather. Rugged, durable, and waterproof. 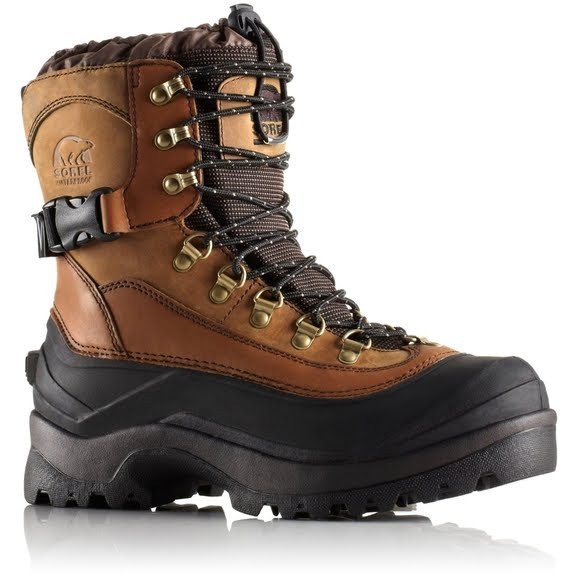 Sorel Men&apos;s Conquest Boots feature seam-sealing, built-in gaiters, molded EVA comfort footbeds, multi-direction rubber lug soles and 400 grams of Thinsulate™ Ultra insulation to ensure that feet stay secure, warm, dry and protected during demanding activities in extremely cold winter weather.